These are used to clamp and align two pipe sections of identical diameters, in order to weld them together. 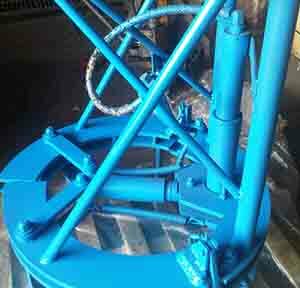 They are available to weld the pipes in Horizontal and Vertical options with pipe size from 12 to 48 inches. 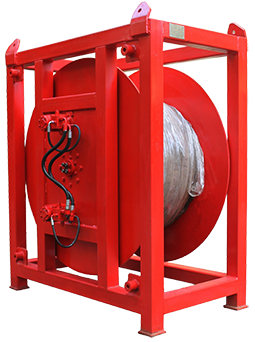 Used in mid tie-in joint, Bear Cages can be operated with the support of Hose Reel and Power pack. 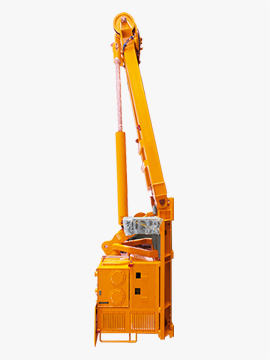 Internal lifting tools are used for upending of piles, conductors and lifting of jackets, templates, buoyancy tanks and modules. 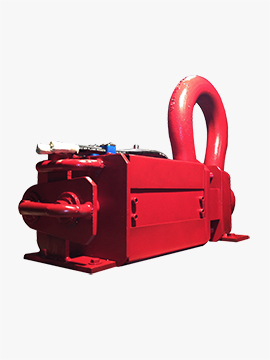 Our products can be used for standard pipes ranging from 16 to 60 inches with lifting capacity from 100 to 750 tons with standard operational water depth of 500 meters. 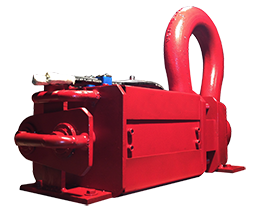 Our external clamps are available from the 4” to 60”. 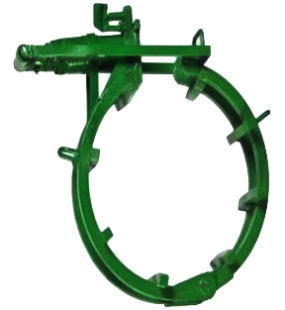 The clamps are fabricated with quality workmanship & material which results in powerful clamping & accurate alignment of joints. 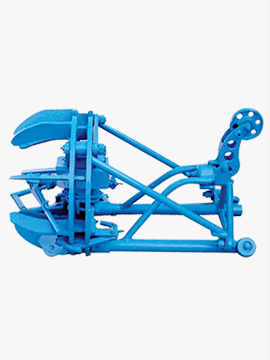 Hand lever type, ratchet type & hydraulic jack type options are available. Unmatchable strength but still light weight as standard flat cross bars or no tack arched cross barsÂ are used for fabrication. High power clamping with even pressure for perfect alignment. Standard 1” ratchet with all sizes of ratchet type clamps. Quick reliable alternative to external line-up clamps. Fast line up for continuous welding of pipe. Optimum weight with maximum durability reduces the pipe gang requirements. Maximum pressure exerted on pipe due to toggle action. 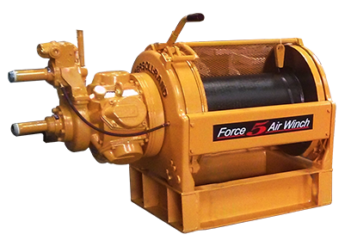 Heavy-duty jack box puts more line-up pressure on pipe with less operator effort. Gap is unobstructed for full stringer bead. 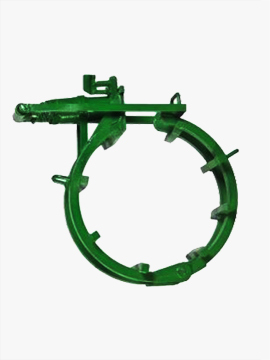 Each clamp is machined for the specific pipe inside diameter. 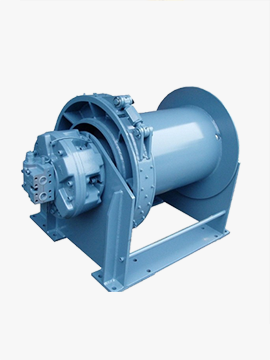 Each product comes with the promise of reliability due to accurate workmanship & Heavy Duty steel construction. Product includes standard reach rod, hook & hand crank. 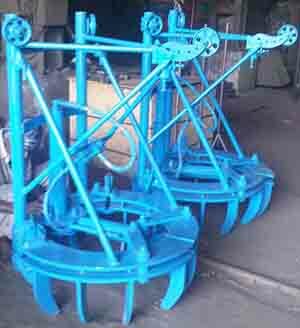 Wide range of sizes available as per customer specific requirement. 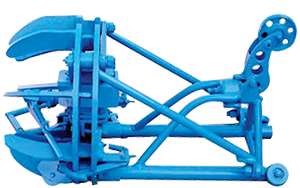 We are sole authorised dealers in the Indian Territory for INI Hydraulic Co. Ltd. which has its two bases in Netherlands & China. 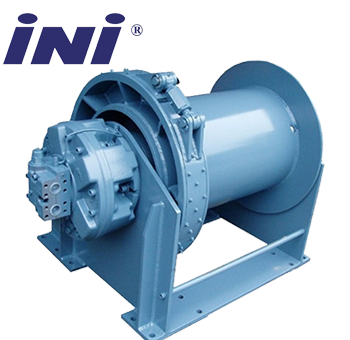 With capabilities upto 90 tons single line pull & more that 15 design patents in its name INI comes with the promise of quality & productivity. 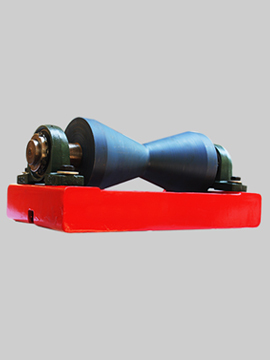 We offer pipe rollers of various sizes & load bearing capacities as per the customer requirement. All are roller assemblies are made with hardened steel frame & Polyurethane orÂ Ertalon 6 PLA rollers. 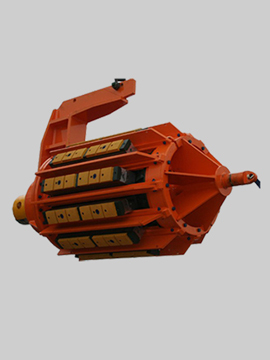 Pipe rollers are available for pipe sizes ranging from 3 to 72 inches & load bearing capacity toll 10 Tons. 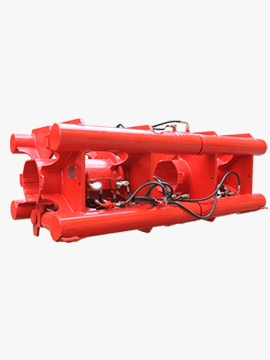 These are Hydraulic operated or Hydraulic release shackles that can be released from a remote location as and when required. 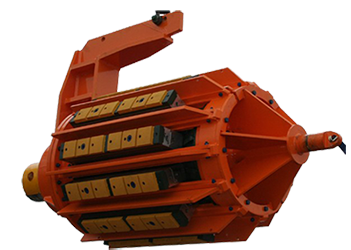 They are available from 17 to 500 tons with ABS certification. 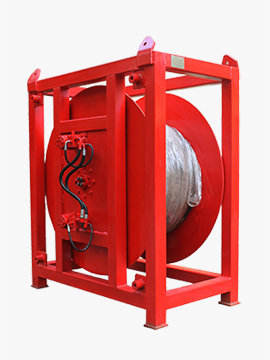 These are used for laying flexible pipes, coiled tubing, umbilical and cables in shallow and deep waters. 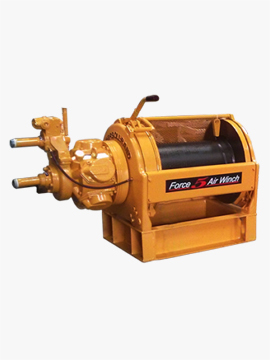 They consist of Steel A-frame, Spooling device, Electrical or Hydraulic power pack and Control consol with capacity upto 50 tons.